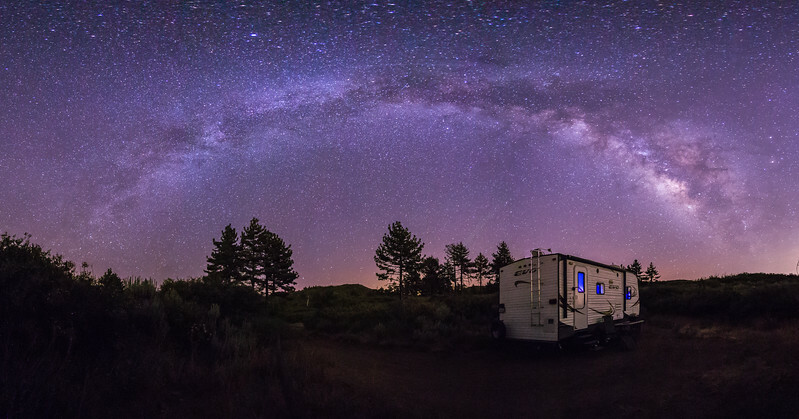 Mount Laguna, California. Cleveland National Forest. I found a new favorite place to camp in the mountains. I combined eight vertical frames to make this panorama. The blue glow inside the camper is from a UV light in a bug zapper.